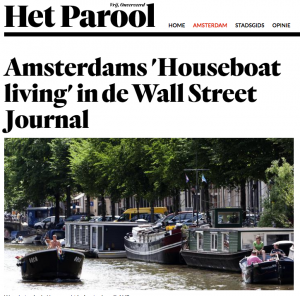 The Wall Street Journal wrote about houseboat living in Amsterdam. Schoonschip chair Thomas Sykora was interviewed too, resulting in a great mention of our project. Read the entire article Good Mooring (March 2013). Afterwards, Dutch newspaper Het Parool wrote about the Wall Street Journal article (March 2013).